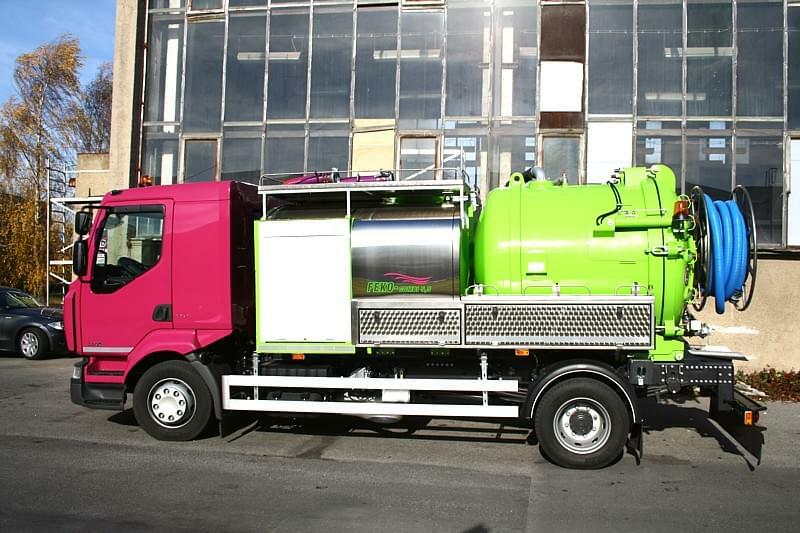 Our technology is up to 4 times more powerful compared to standard sewage cleaning vehicles. Why? Because even heavily blocked sewage is no bother to us, we manage our work faster, making things more affordable for you. We’ve a fleet of 12 vehicles in our trademark violet and green. Here they are. Powerful technology for sewage cleaning of large or small profiles using pressurised water. Recycling extensions clean even long sections without requiring us to make extra trips for more water. Smaller vehicles can easily navigate city centre layouts where larger vehicles encounter difficulties. Our vehicles parked and simultaneously clean using pressurised water thanks to the double combination Renault chassis. Suitable for cleaning household sewage (standpipes, connections, toilets, sinks and water basin drains), rainwater, courtyard and mountain inlets, water mains, compound sewers, etc. 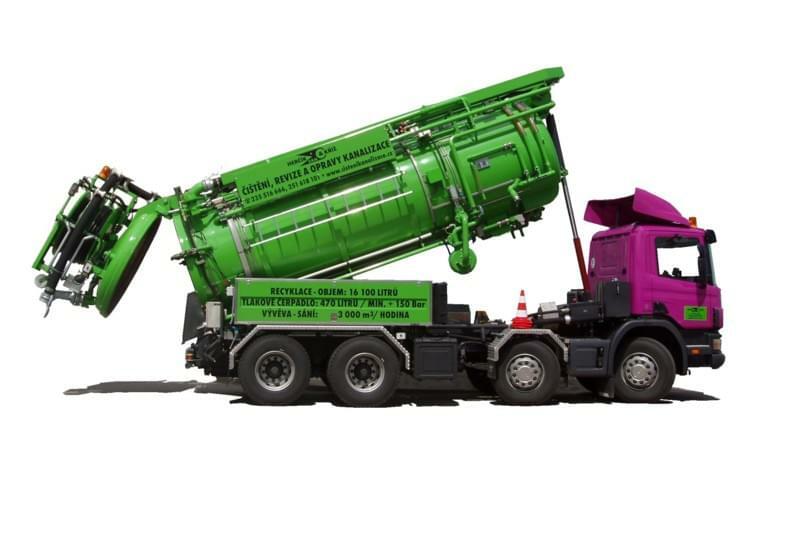 Recycling vehicle for cleaning large diameter sewage (gutters, water mains) or household connections, outflows into street inlets and smaller profile pipelines. Powerful air pump and suctions sludge, grease separators and impurities over long distances and depths. This is useful for exhaustion of dragged material during sewage cleaning, sludge suction from wastewater treatment plants, etc. 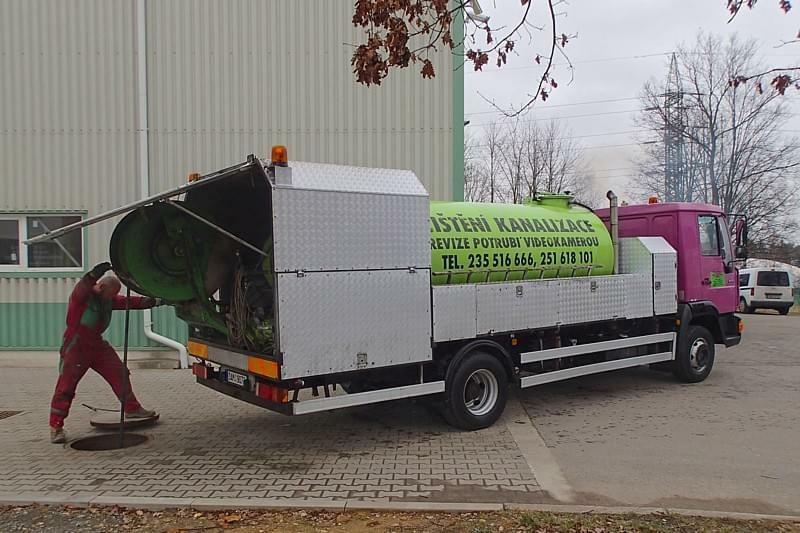 Recycling vehicle for cleaning all kinds of sewage. During cleaning, material contained in water is suctioned and then immediately recycled for use in further cleaning. 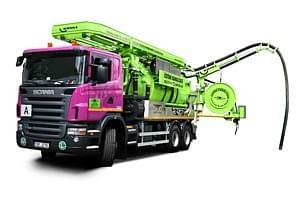 Technology for large profiled sewage cleaning. Our recycling system cleans long sections without having to repeatedly refill water tanks. 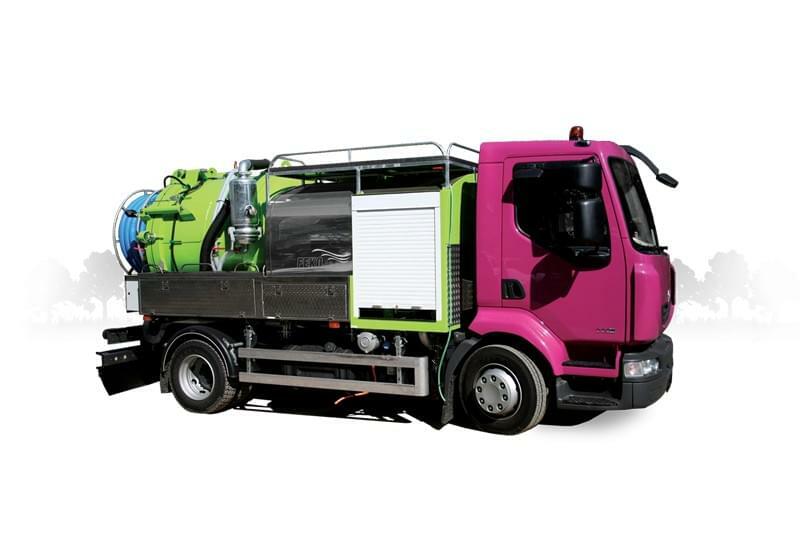 Smaller vehicles are also suitable for cleaning household drains and suction work on narrow streets of city centres which larger vehicles can’t access. Cleaning vehicle with two water pumps, industrial vacuum cleaner, cleaning nozzles of different sizes and extra rotating nozzles for milling pipeline roots. Technology for cleaning house connections, street inlets, water mains and compound sewage of up to DN 800 mm. 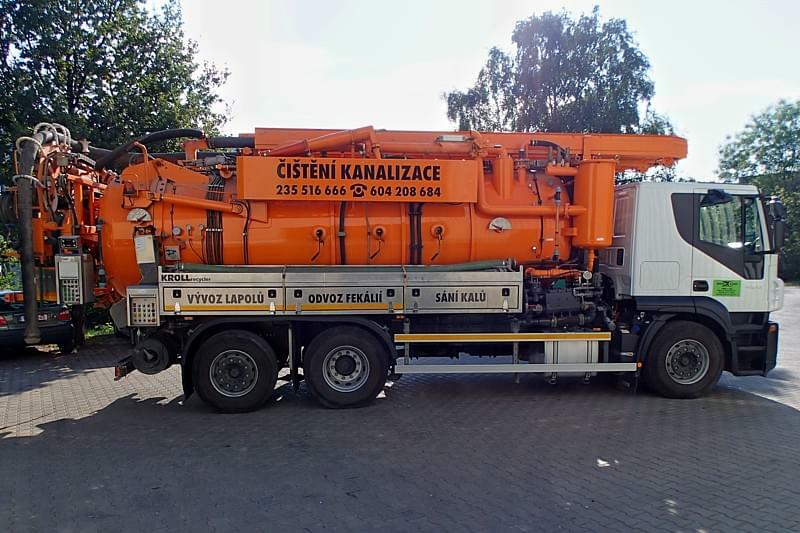 Vehicle is fully-equipped for milling sewage, such as ingrown roots, and often used for sewage cleaning before trenchless repair with recovery inserts. Can be used either on its own or as a container vehicle for waste disposal or in combination with pressurised water as a cleaning vehicle for smaller sewers and rainwater inlets. Powerful technology designed to handle the dirtiest of jobs. Suctions reservoirs, cesspools and tanks and cleans using pressurised water before finally disposing of excrement. Do you need experts with the proper equipment? Describe your problem and a member of our team will advise you, calculate the estimated price and arrange a date for the call out. Or we can also come to see the defect and propose a solution. In case of an emergency, call +420 722 153 921 from 6.30am to 6pm. Every year we solve over 4,500 problems in relation to sewage systems, we look after 12,700 customers and we have 23 years of experience. We use only the most powerful technology to work faster and make things cheaper for you. For us size and power matters. You will save on transport and water. We don’t take multiple journeys for water. 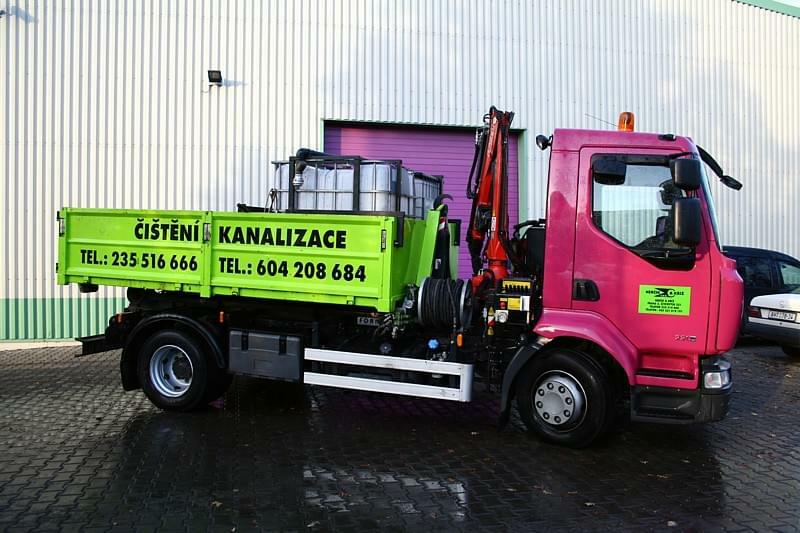 Our large tanks and recycling trucks are large enough to handle any load. © HERČÍK a KŘÍŽ spol. s r. o.